Hello! I know I haven’t been posting much lately, it’s been quite a hectic last few weeks especially with both kiddies now in school. Now there’s getting ready both kids early in the morning and doing the homework the night before. 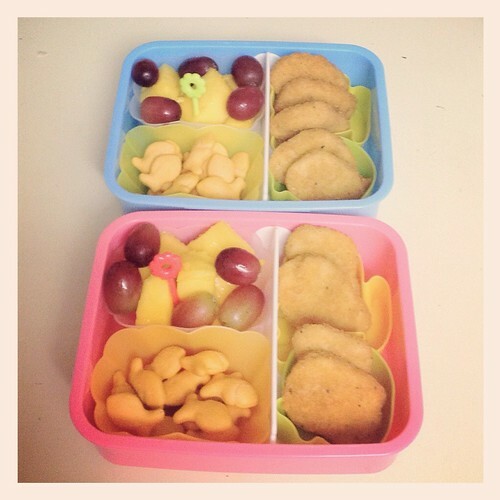 Like that’s not crazy enough, I decided to start making the kids lunch everyday for school. Why? Well, Aaron’s school charges $2 a day for lunch and Elle’s school charges $3.75. I can afford Aaron’s lunch but Elle, hmnn, she doesn’t eat a lot and that’s way too much if you ask me. 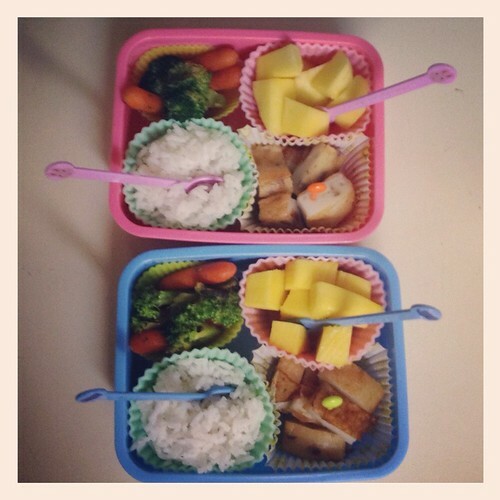 So, I started making them lunch everyday since Elle’s school started, 2 weeks later than Aaron’s. 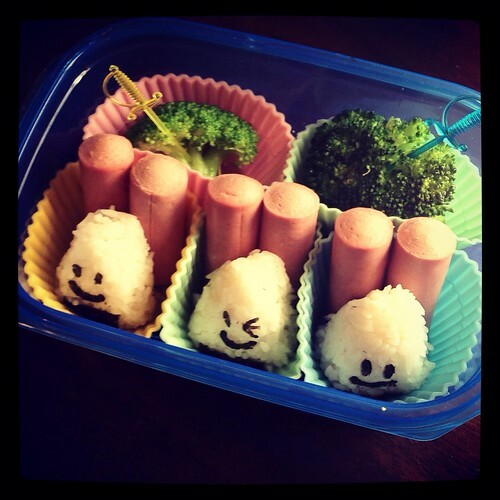 I came across a few samples of Bento lunches and thought it would be a cute idea for the kids. 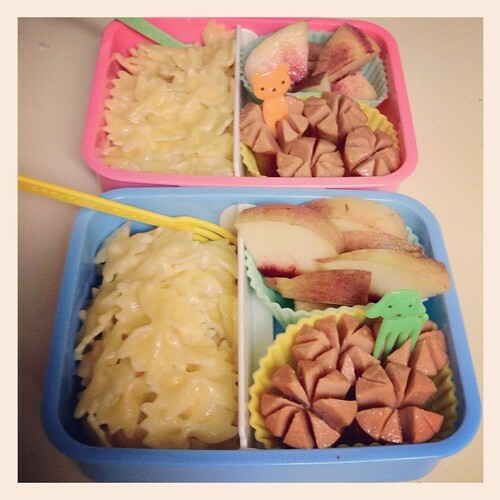 I like making these lunches for them because it allows for me to be creative with my the food ideas. 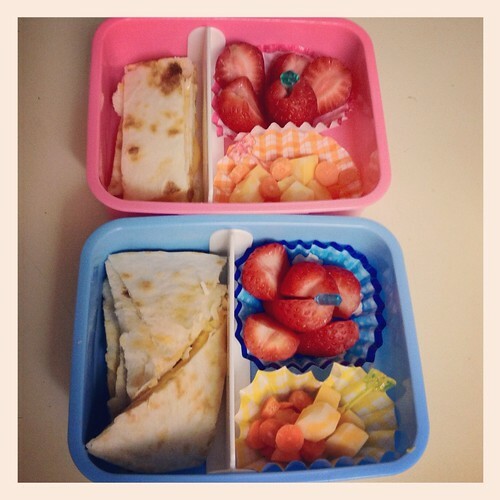 I’m also being challenged to incorporate fruits and vegetables in their daily lunch. 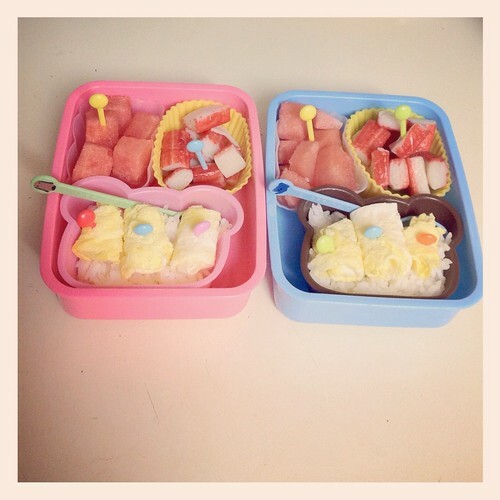 The fact that bento lunches are in compartments and in cute presentation helps the kiddies have fun with their lunch as well. Its not easy to try to come up with NON boring food combinations, however, it always put a smile on my face that my kids say they love their lunch.